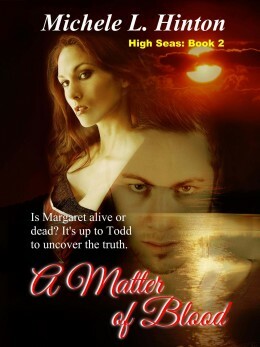 High Seas: A Matter of Blood: This is the second book in the High Seas series. 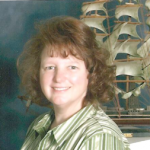 Margaret is returning home from India with Captain Todd Withers, the man she loves. However, one obstacle both have to deal with is Margaret’s mother. Clarice Wallingham believes the captain of a cargo ship an unsuitable match for her daughter. But the good Captain has a secret. Being the widow of Alec Mitchell, who was known world-wide as the Pepper King of India, Margaret is also custodian of her stepson’s massive trust. This doesn’t set well with Drake’s uncle, Lawrence Mitchell, who wishes to control his nephew’s fortune. When tragedy strikes, Margaret is pronounced dead, along with a friend, Kent Carlyle. But are they? Follow the lives, relationships and intrigues of Margaret and Todd, Lawrence and Olivia, as well as Drake and his two friends, Eric and William, as their stories intertwine in their search for the truth.